From my desk, which clearly lacks a light bar, siren, steering wheel, or other useful device, I was scanning the live calls-for-service feature on my computer this morning. I saw a couple of our rookie call signs at a residential intrusion alarm. They had asked for the radio channel and a few minutes later released it, saying they were 10-4 at the scene. 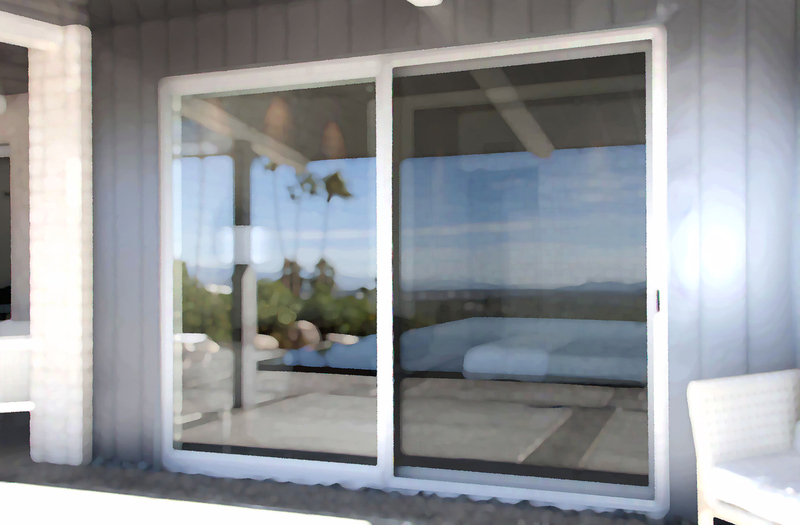 When I read the incident notes, I saw that they had found an unlocked slider and entered to check the residence. 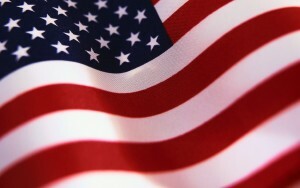 This week is National Police Week and the National Peace Officers Memorial Day was Sunday, May 15. The 35th Annual Memorial Service was held yesterday in Washington, D.C. 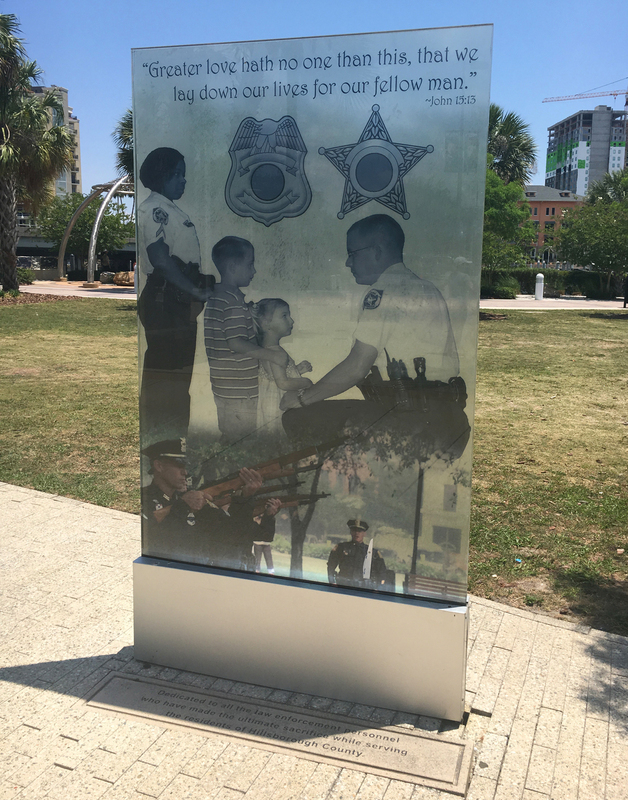 It was fitting that I was able to visit Heroes Plaza along the Tampa Riverwalk over the weekend. The Heroes Plaza was dedicated on Sept. 11, 2009. It honors all those in uniform who have made the ultimate sacrifice for our country–soldiers, airmen, sailors, police officers, fire fighters, and emergency responders. 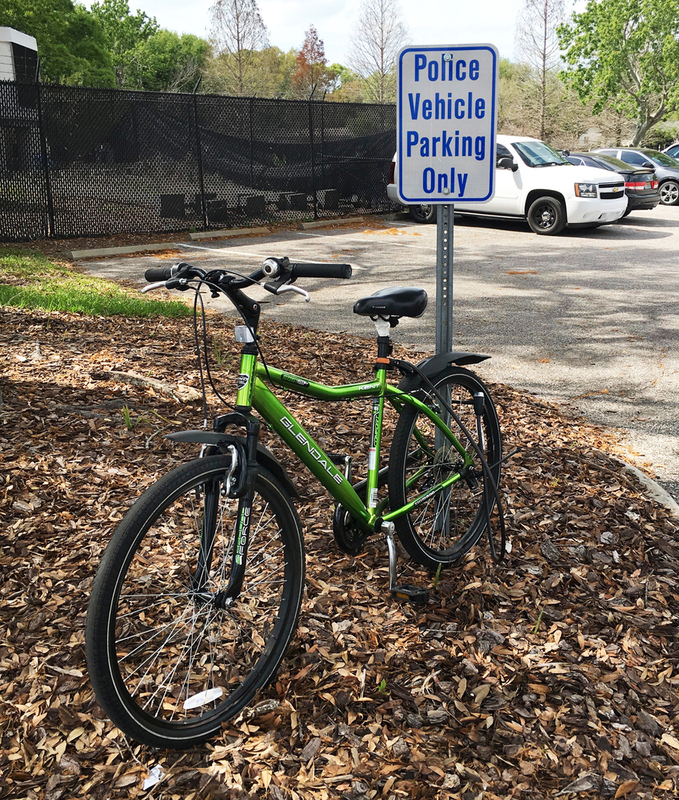 It was paid for by the City of Tampa and Hillsborough County. Inscribed on granite plaques are the names of law enforcement and firefighters who have lost their lives on duty in Hillsborough County. There are quite a few. 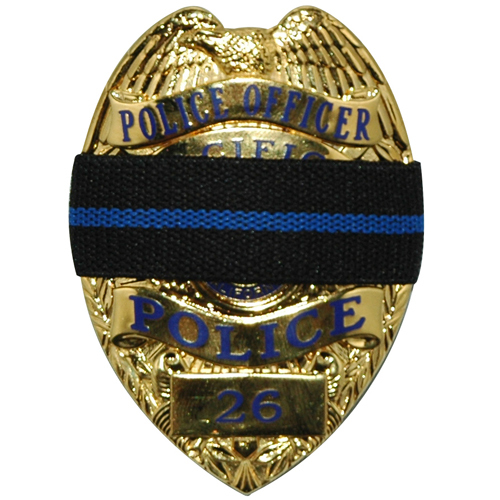 I know the stories of several of the fallen Tampa officers whose names I viewed. 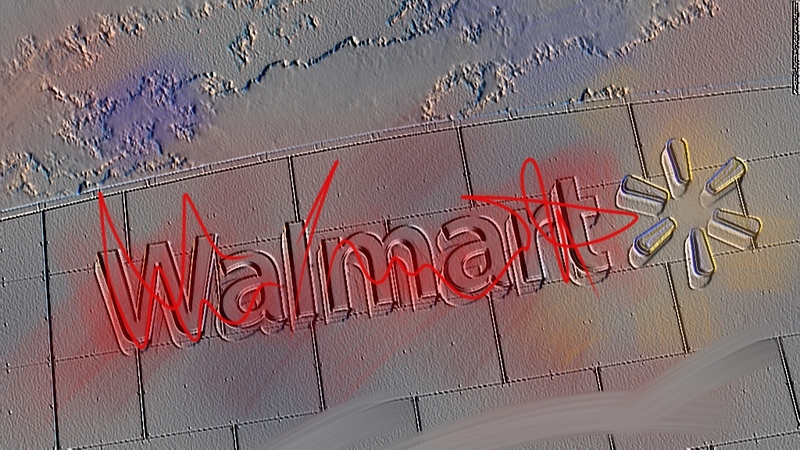 Are you “lucky” enough to have a Walmart in your jurisdiction? If so, then the following won’t surprise you much…but it might shock those who don’t work in law enforcement. Tampa Bay Times reporters did a bit of research and found out that Walmart stores are a heavy drain on police agencies and taxpayer dollars. Really, dude? The bike and cable lock can be lifted straight up over the sign. Don’t know how I know that. After I had written an article about First Tactical’s new Diamondback folding knife, I was contacted by a company rep who asked if I would like to test and evaluate some of their products. Why, sure! 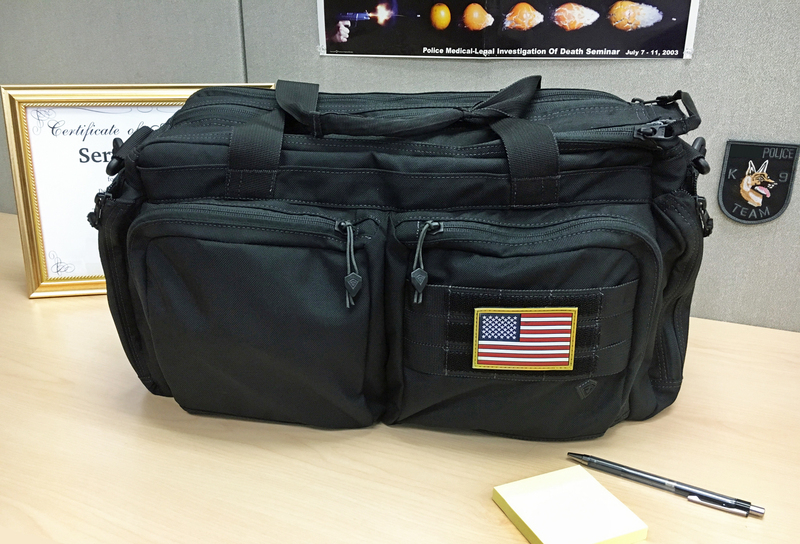 While I was talking to the fellow on the phone, I was staring at my old, old Blackhawk travel bag that had been my daily carry for the last decade or two. Can I test one of your nylon bags? I asked. I went to the First Tactical™ website and perused their offerings. Not wanting to press for too much, I pitched him the idea of a T&E for a briefcase, small folding knife, and flashlight as an EDC package. The rep liked the idea and shipped me all three. By way of disclaimer, I did not pay for the items, but neither did I solicit First Tactical for an article. I assured the rep, I would be writing a fair review of all the items. First Tactical vets their product designs through law enforcement, fire fighters, and emergency medical personnel for real world functionality. Marketing directly to the consumer, they keep prices down by eliminating middlemen and distributors. First Tactical uses first responders to field test their gear and even gives $100 credits to those who sign up to evaluate. My existing Blackhawk bag was much like a small duffel with one large compartment, one large side pocket, and one small side pocket. I increased its functionality by purchasing two of their small shaving kits for added interior storage, but it was still not very user friendly. 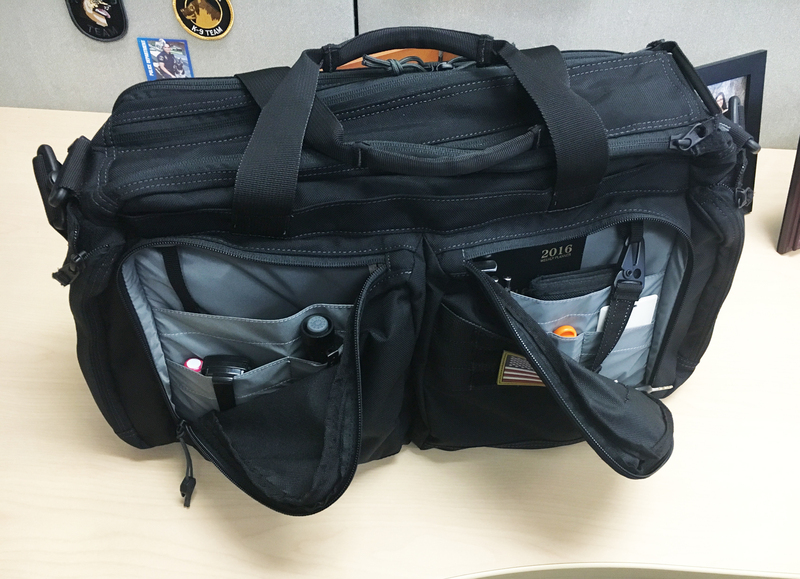 The First Tactical Executive Briefcase I received had fairly gorged on “utility.” I require exterior pouches to have zipper closures for security purposes and not loose-topped flaps. The briefcase has two large, zippered exterior front compartments with interior slip organizers and an HK-style snaplink strap for keys. MOLLE webbing and hook and loop faces the exterior of the right compartment. It’s COPS in a galaxy far, far away. Just watch it. You’ll recognize some things. Happy Star Wars Day! 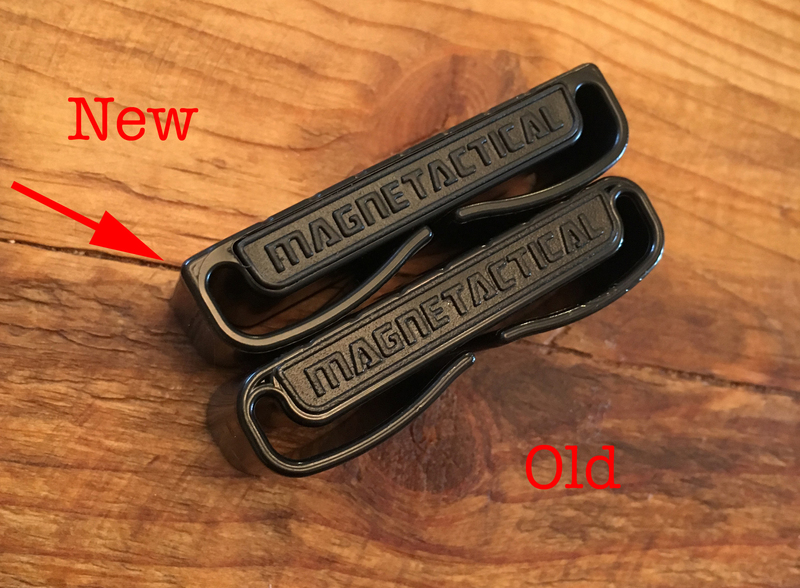 Updated: Devin sent me a slightly redesigned version of the Magnetactical belt clip, so I am re-posting this article. Here is a photo of the old and new style. The newer belt clip has a squared-off upper and lower edge, which will grip items better than the rounded type. I like it. Devin Stutz is a sort of modern day Geomancer, one who divines things from the very properties of the Earth. Bear with me. While at his police range sessions, Stutz pondered how to improve his one-handed and support-handed reloads and manipulations for the pistol. As if drawn to a solution with his “boots in the dirt,” Stutz came up with the power of magnetism from which he conjured his Magnetactical belt clip. The Magnetactical clip is a duty belt-mounted rare earth magnet that serves as a positive platform for the slide of a handgun. It holds the pistol during a one-handed reload should the shooter be rendered injured or less-than-capable. The latter could include the officer being burdened with a ballistic shield or other tool that would interfere with normal two-handed operations. Hi, folks, Randall here. I’m sorry that I have not been around as much as usual. My real job became much busier with a lieutenant’s assessment (I didn’t get it), an Internal Affairs sergeant assessment (I didn’t get it), some assorted projects in Property and Economic Crimes, and prepping for my department’s CALEA on-site for Gold Standard accreditation (whew). We have been working with other county police agencies to update our secondhand dealers to the new state law changes for their businesses. Dealers will now be required to photograph property in the transactions; increase the holding period for precious metals or gems, jewelry, antiques, artworks, or goods purchased through an automated kiosk to 30 days; and change some of their storage procedures. If you saw my article on the Riggs Shield, we had a visit from the vendor. My department is considering purchasing one for each marked police car through Local Option Sales Tax money. I am helping to work up a test and evaluation period for the shields. With any luck, things will cool down and I’ll be here a little more. I have been toying with re-posting some of the more popular articles from the last four years, since they can get lost in the maelstrom of the Internets! Things seem to have gotten more dangerous on the streets. Stay safe and watch your partners’ backs. 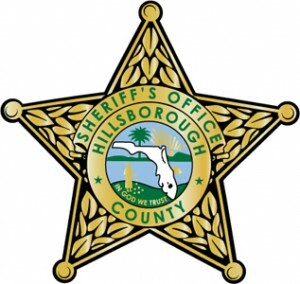 Hillsborough Sheriff’s Deputy John Robert Kotfila, Jr. lost his life overnight when his marked cruiser was struck head-on by a vehicle driven west in the eastbound lanes of the Lee Roy Selmon Expressway early this morning. Dep. 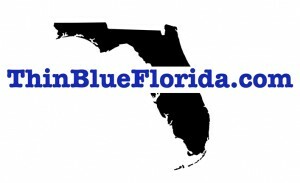 Kotfila is the first Florida law enforcement officer to be killed in the line of duty in 2016. The errant driver also died as a result of the crash. Sadly, Dep. Kotfila was just 30 years old. He had been on the job at HCSO for six years. Funeral arrangements will be announced by the agency. The Tampa Police Department produced this short video of incidents from their recent body camera pilot program. The video shows a bit of what we experience out on the street. Thank you, TPD. 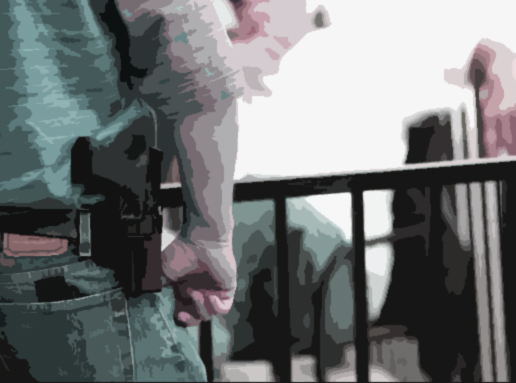 Florida Senate Judiciary Committee Chairman Miguel Diaz de la Portilla killed the open firearms carry bill (SB 200), along with the college campus carry and airport terminal carry bills. The Miami Republican blocked all three bills from being heard in committee, effectively euthanizing them for this legislative session. Diaz de la Portilla expressed concerns about public safety and unintended consequences of the open carry bill. He is taking much heat from Second Amendment supporters and much praise from the pro-gun control faction. A Riverdale, Ga. police officer was shot and killed this morning around 11:15 a.m. He is the fifth officer to be slain by gunfire since Monday. Although the total number of LEO’s killed thus far in 2016 is down, this week’s deaths mark an increase of 600% over firearms-related deaths from the same period last year. On Monday, Deputy David Greer of the Mesa County, Colo. Sheriff’s Office stopped out with an armed juvenile, who shot Greer to death before back-up officers could arrive. Deputy Greer is survived by a wife and two children. Yesterday, Harford County, Md. Deputies Mark Logsdon and Patrick Dailey responded to a wanted subject at a Panera restaurant. Dailey was shot inside the restaurant as he talked to the suspect. Logsdon was fatally wounded in the parking lot. Both deputies were married and had children. Also yesterday, Officer Jason Moser of the Fargo, N.D. Police Department was on the perimeter of an armed, barricaded suspect call, when he was shot to death by the offender. Ofc. Moser, who was taken off of life support today, had a wife and two children. Finally, Riverdale PD Major Greg Barney was a perimeter officer at a search warrant. The suspect fled his residence toward Barney and shot the Major in the chest. Barney leaves behind a family. This is not just some statistical uptick. Good police officers have been murdered. Let’s all practice the best situational awareness and officer safety that we can each minute in the field. Stay sharp, stay safe. 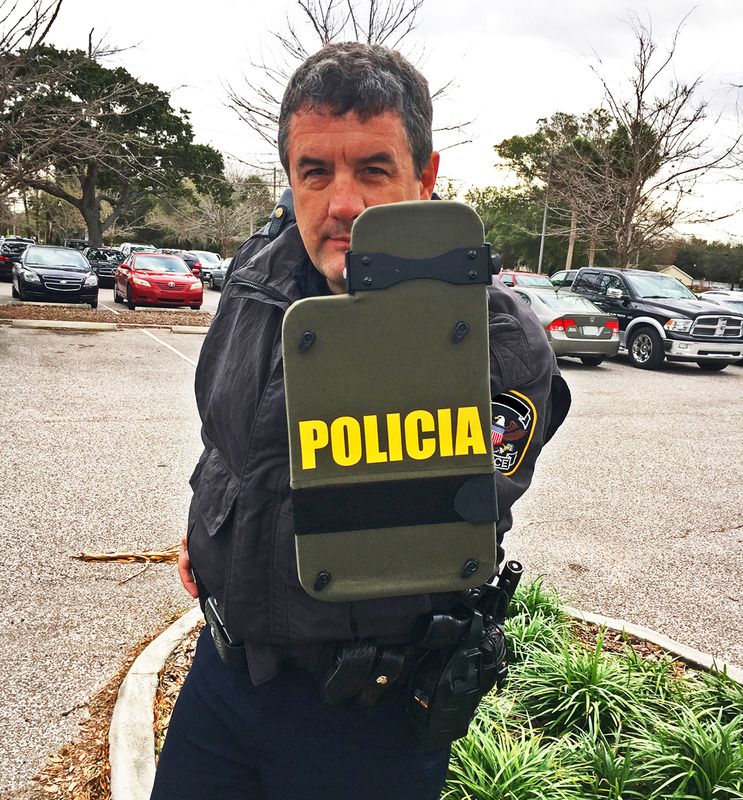 This week, one of my detectives, who has a relative in law enforcement product sales, brought a ballistic shield to work that was specifically designed for vehicle ambush protection by California Sheriff’s Deputy Robert Riggs. It is called the Riggs Shield and was conceived after one of Riggs’ partners was attacked in his cruiser. 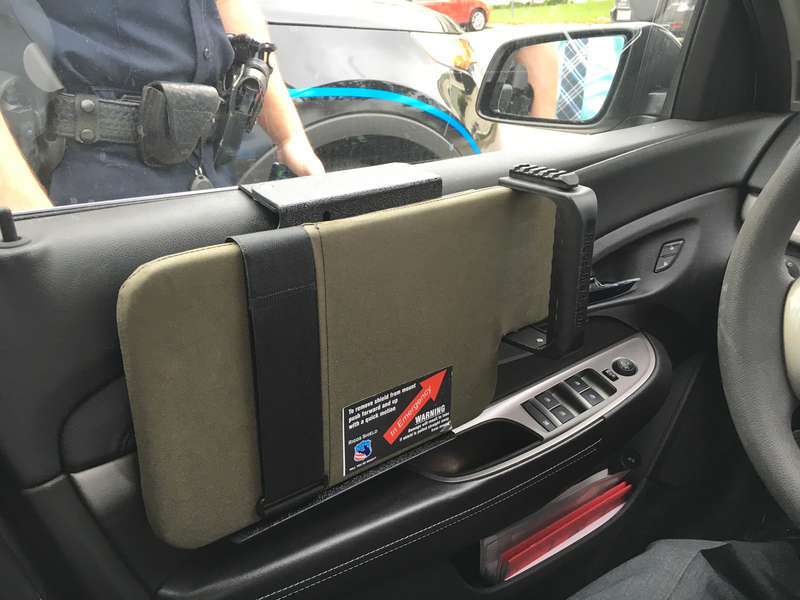 The Riggs Shield mounts on the inside of the driver’s door of a police car and is quickly and easily removed in the event the officer is attacked while seated. By grabbing the handle and pushing the shield forward and up, it pulls away for immediate use. Rated at NIJ Ballistics Level IIIa and Stab Level III, the Riggs Shield can provide emergency protection from a variety of threats. It has a section of Picatinny rail for affixing a flashlight on the handle. 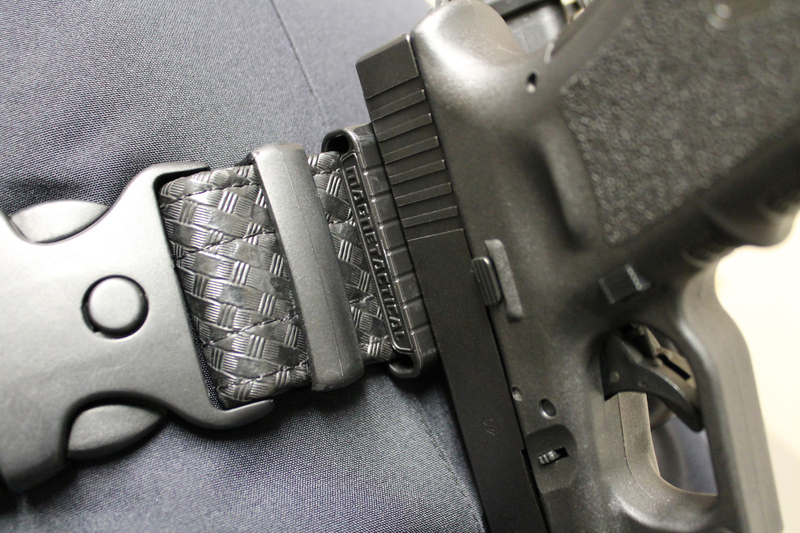 A hook and loop nylon strap is included, which can give extra stability when holding the Riggs Shield. It also allows for two-handed reloading of a pistol.